San Antonio Federal Criminal Defense - Oberheiden, P.C. If you are a physician in San Antonio, you probably visit this site because you had to realize that being a good doctor is no longer enough to stay off the government’s radar, and you might need the services of a San Antonio federal criminal defense lawyer. Federal law enforcement in San Antonio and prosecutions against providers brought by the DEA, FBI, and the Office of Inspector General are at an all-time high. Declared targets are San Antonio doctors, who prescribed opioids, benzodiazepines, stimulants, sedatives, and muscle relaxants between 2015-2018. Texas federal attorney Dr. Nick Oberheiden dedicates his practice to protecting physicians, pharmacy owners, and business entrepreneurs against federal government investigations. Unlike most lawyers you will come across, Nick only handles federal cases and only practices in a federal court—a significant advantage for those clients that would want a lawyer that has the routine and experience to avoid criminal charges or a conviction in a federal case. Indeed, Nick has been featured by news stations throughout Texas, San Antonio particularly, and the rest of the United States sharing his federal litigation experience on TV, radio, and in nationally broadcasted interviews. In hundreds of federal health care fraud and federal criminal cases involving the Controlled Substances Act, mail fraud, wire fraud, money laundering, and other federal offenses, Nick has built a hard-to-beat history of avoiding indictments and successful case outcomes for a large quantity of clients. DEA Search Warrant Cases: NO CHARGES. Opioid “Overdose” Cases: NO CHARGES. Opioid “Fraud” Cases: NO CHARGES. Opioid “Diversion” Cases: NO CHARGES. Controlled Substances Act: Ask for history of NO CHARGES. 100+ Federal Health Care Fraud Cases: NO CHARGES. Wide Variety of White-Collar Crimes: NO CHARGES. Call Nick today at 866-Hire-Nick and find out for yourself why physicians, business owners, lawyers, and even active federal prosecutors hire Texas attorney Dr. Nick Oberheiden when their reputation and freedom are at stake. Most San Antonio clients contact Nick because they are were contacted by DEA or FBI agents, received a grand jury subpoena or a target letter from the Western District of Texas, experienced a search warrant of their business, or because they were recently charged with a federal offense by one of the U.S. Attorney’s Office in Bexar County. If this happened to you, you should immediately meet with an experienced federal criminal defense attorney to protect your interests. What follows are some of the most frequently asked questions when it comes to federal cases in Southwest Texas. Who Investigates Federal Cases in San Antonio, Texas? San Antonio, Texas is one of the centers of opioid investigations within the state of Texas. 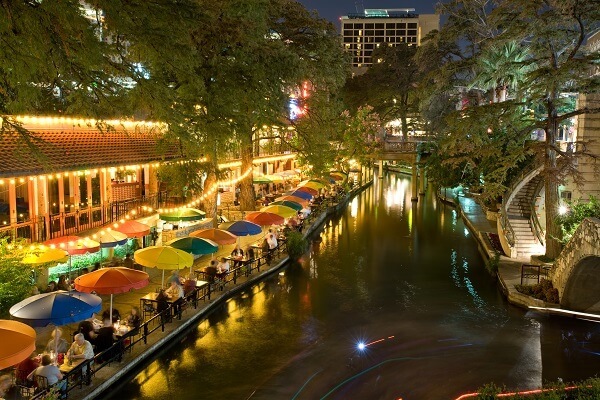 Structurally, San Antonio is part of the Western District of Texas, one of 95 federal districts nationwide. The Western District is known for relentless prosecutions of white-collar offenses, including health care fraud, money laundering, and violations of the Controlled Substances Act. Federal cases in San Antonio are investigated by the U.S. Attorney’s Office and federal agencies such as the Department of Homeland Security, the Department of Health and Human Services, the Department of Justice, the FBI, the DEA, and the IRS. Why Are Doctors in San Antonio, Texas Targeted by the DEA? The government’s position is to confront the national opioid crisis by prosecuting physicians and pharmacy owners for dispensing medically unnecessary and excessive pain medication to chronic pain patients. With more than 90 people dying of drug overdoses in the United States each day, all federal prosecutors in San Antonio, Texas were formally instructed to prioritize drug trafficking, drug diversion, opioid fraud, prescription fraud, and related offenses. Specially created federal task forces are relentlessly screening physicians’ prescription volumes between 2014 and present day. Why Are San Antonio Physicians and Pharmacies Prosecuted in DEA Opioid Investigations? The central allegation in opioid related federal investigations is that prescribers and pharmacies criminally deviated from the ordinary course of medicine and the accepted standards of medicine as incorporated and defined under the federal Controlled Substances Act. What Mistake Do I Need to Avoid If I Am Under Investigation? The number one mistake to avoid if you are under federal investigation is to hesitate to engage an experienced federal criminal defense attorney that knows how to protect your interests and your freedom. How Can I Find the Right Federal Lawyer? Not every lawyer qualifies for the job. There is a significant discrepancy between handling a state shoplifting or state DUI case and handling a complex, nuanced, federal investigation involving the Department of Justice, the FBI, and other highly trained federal authorities. The following questions may help you to narrow the scope of your search. First, in how many of your last 200 federal (health care fraud, mail fraud, tax fraud etc.) cases did you avoid criminal charges for your clients? Second how many (DEA opioid investigations, Medicare fraud, Kickback, bank fraud etc.) have you personally handled and what were the outcomes? Third, if I hire your firm, who will handle my case? What Are the Penalties in San Antonio Federal Cases? Penalties in federal cases are severe. Because most federal offenses are felony charges, almost every defendant found guilty by way of a plea agreement or as convicted in a court of law, is exposed to 0 to 10 years of incarceration per count. If you have specific questions about specific offenses, the penalties for those offenses, and the sentencing process in general, you should call Nick Oberheiden today to get a better understanding of how the federal justice system works and what he can do to protect you. What Type of Cases Does Nick Oberheiden Handle? Nick Oberheiden is licensed in all federal courts in Texas, including the Western District of Texas, San Antonio. Nick limits his practice to federal law and a large portion of his cases are DEA opioid fraud cases, Medicare fraud, Medicaid fraud, False Claims Act cases, Civil Investigative Demand matters, violations of the Anti-Kickback Statute, Stark Law, home health care fraud, hospice fraud, toxicology and pharmacy investigations, MSOs, and whistleblower defense matters. Outside of health care cases, Nick has represented clients in high-profile public corruption, bribery, tax fraud, money laundering, mail fraud, wire fraud, bank fraud, and federal computer crime cases. Where Is Nick and His Firm Located? Nick Oberheiden represents clients in federal cases in approximately 35 states. His home office is Dallas, but his many clients in San Antonio, Texas make him a frequent visitor to Bexar County. Additionally, the firm has offices in Houston and Austin and locations throughout the United States. If you have questions about a federal case in San Antonio or want to meet, you should call Nick at 866-Hire-Nick today. Nothing easier than that! What Do I Need to Do to Get a Free Consultation? Nick Oberheiden is always available for free and confidential consultations. If you have questions about a federal case in San Antonio, you should call Nick at 866-Hire-Nick today. Nick will take your call himself and immediately address your questions and concerns. When you hire federal defense attorney Nick Oberheiden, you select a San Antonio federal criminal defense lawyer with true experience. Unlike most lawyers, Nick will disclose to you his universe of health care law and health care fraud defense history—because he is proud of the track record he has built in hundreds of government investigations. And: calls with Nick are free and 100% confidential and they are not delegated to junior lawyers. Call or contact him online.